Intangible concepts such as credibility and reputation can have an enormous influence on the way you are perceived and your success. Credibility and reputation take blood, sweat and tears to build up but can also be destroyed in no time at all. Understanding what makes one credible, the types of credibility that exist and the link between credibility and reputation is key to safeguarding yours. Credibility is a very complicated quality that influences your willingness to believe in what a person says or does. It is a term that applies to businesses and individuals. The concept of credibility can be dated back to the days of Aristotle and his artistic proofs. He spoke of a proof (a form of persuasion) – ethos, which consisted of a person’s credibility. As we mentioned earlier on, credibility is a complicated quality and the best way to break it down into a digestible concept is to look at 3 basic elements from which credibility is derived. When a person or company shows a deep understanding and knowledge of a subject, product, process or even customer needs and wants they convey expertness. Honesty and truthfulness make a person or company trustworthy and give people reason to rely on them. This pillar concerns having respect for others and their values. Displaying an effort to truly have the best interests of others in mind is how one achieves goodwill. People feel a sense of undeveloped friendship towards those with goodwill and are more willing to trust them and perceive goodness and ethics in them. As much as this may sound like a pre-school lesson on good manners and morals, displaying these 3 qualities strategically and consistently enhances one’s credibility. Without realising it, we go through various stages of attributing credibility to a person or company. Understanding how people evaluate credibility can truly help when trying to make a good first and long-lasting impression. Before interacting with a person or company, you may have an idea in your head about how credible they are based on what you’ve heard, first impressions and their seeming trustworthiness, goodwill and expertness. During your interaction, you form a perception about the party that may differ significantly to your first impression. As you learn more about them and enhance your understanding, their credibility may change and you may be more (or less) willing to believe what they say and do. Once you have finished interacting with someone you walk away with a certain perception of that person’s credibility that you will associate with them in the future. The recency effect is very important in establishing a positive end credibility as it is the last few interactions with a party that leave the longest lasting impression and has the strongest effect on how you perceive that person or company. A quick example would be a doctor. A well-known doctor’s practice may have been recommended to you by a friend. Because they have had good experiences with this doctor and place them on a pedestal, your initial credibility is positive and you believe in their capabilities as a doctor and their ‘expertness’ in the medical field. You then pay a visit to this doctor and he notes all your symptoms and draws logical and reasonable conclusions about your illness and you gain confidence in his ability as a doctor and your transactional credibility is established. 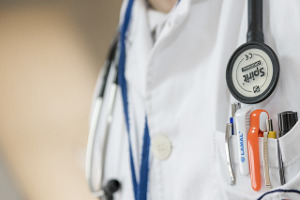 Just before leaving the doctor, he diagnoses you with something completely unrelated to your symptoms – making you want to seek out a second opinion, thus your end credibility is different to your initial and transactional credibility and you leave with a certain perception of this doctor (recency effect). Why does reputation affect credibility? Reputation is the sum of all perceptions held about a person or a company. Perception (or image) is uncontrollable – made up of unplanned messages sent out through actions, rumours, culture, appearances, service, quality, gestures and interactions. Reputation building consists of a person or company shaping their identity – an intentional manifestation of their reality that is completely controlled – and exhibiting consistency in the images they project. A strong reputation comes about when image and identity align and there is consistency in all planned and unplanned messages. Inconsistent messages affect a company’s credibility because people are unable to believe in the actions or messages of a company or person because they are never guaranteed to be the same. Think of it like this: if we, at DataRapt, state that our products have fewer than 0.5 bugs per 1000 lines of code, we have a reputation to uphold. If, however, there were actually 10 bugs per 1000 lines of code, we acquire a bad reputation because it would seem we are lying and people’s willingness to believe our statement would decrease. This would leave us with poor credibility and any future statements made would be questionable. During interactions, we believe that if you keep the 3 pillars of credibility and the different types in mind at all times, you will build a solid reputation and establish well-known credibility.